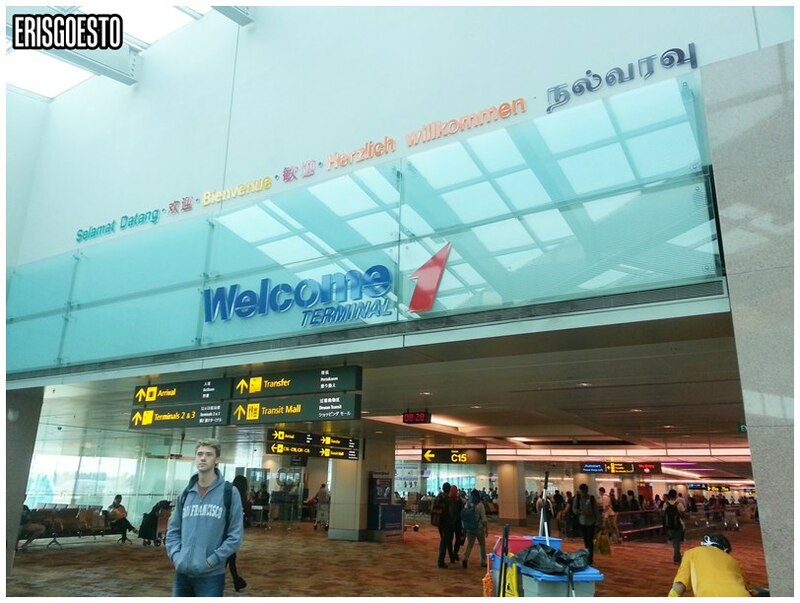 Took an early morning flight from LCCT to Changi International airport. The place is MASSIVE. Apparently it won awards for being the best airport in the world. 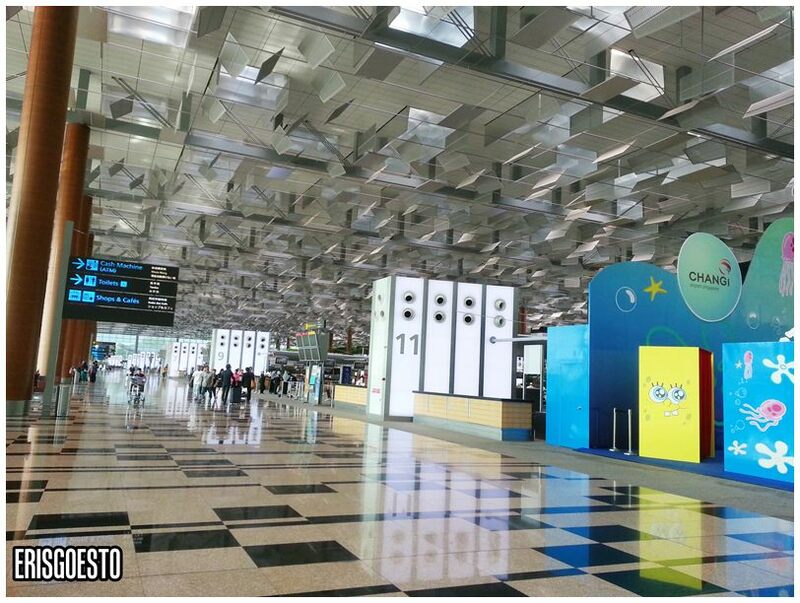 I can see why – it’s three times the size of our biggest airport, KLIA. It’s like a huge shopping mall in itself, with state of the art facilities. There’s free web surfing stations and the travellators go on forever. Met up with a friend, J, at the arrival gates. Walking through the terminal, one can see lots of shops with the latest, most expensive brands, like Ferragamo and Hermes. Took a good 10 minutes walk from where I disembarked to the arrival gates. Took the MRT to Bugis, where my inn was at. The station was massive as well. I feel so dwarfed. 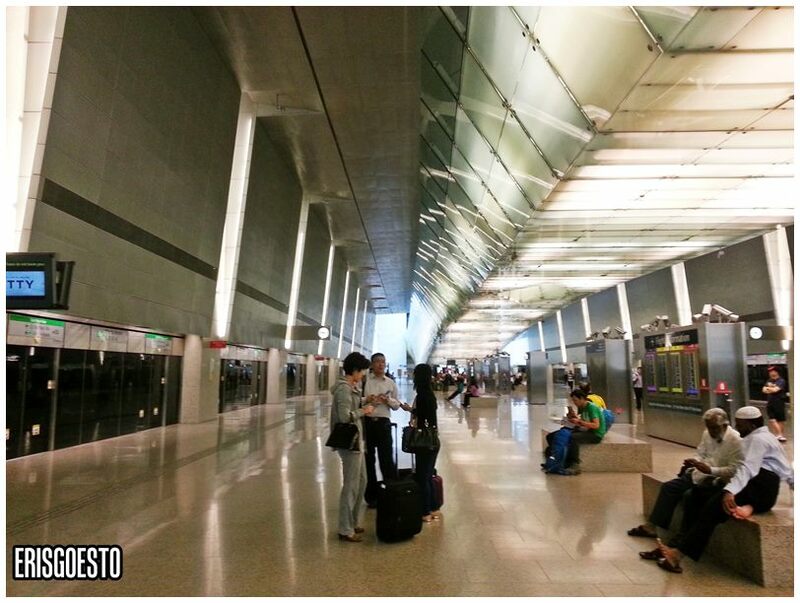 To get around in Singapore is convenient, as they have many stations which are all interconnected. It may be confusing for the first time traveller, but it was lucky I had a ‘guide’ lol. 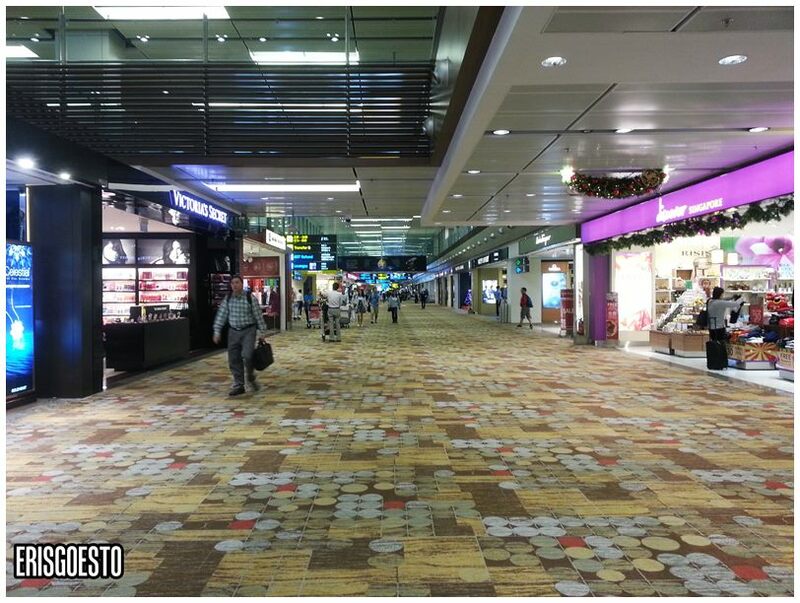 There are basically four main lines in SG – Circle, East-West, North-East and North-South. You get a card which you can load at the automatic machines by yourself. The trip took about 45 minutes and only cost RM2.20. Sweet. Walking to the inn at Aliwal Street, which is close to the Malay Heritage Area in Bugis. 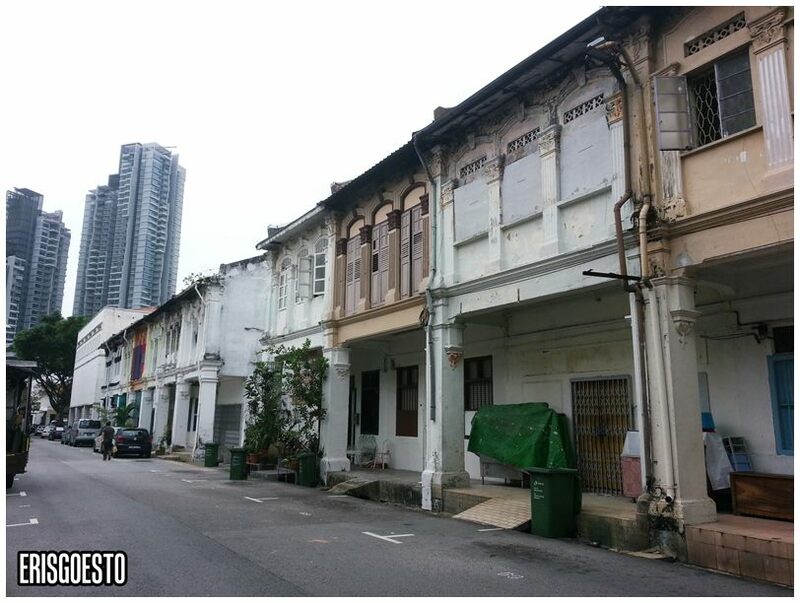 Most of the colonial shophouses here look like the old Chinese shophouses in Kuala Lumpur, so it was a familiar sight. Streets are super clean. Weather was really humid though, even more than KL. Arrived at the inn! It’s a backpacker’s inn, but looks decent, with whitewashed walls and located in a few shop houses. There is a common lounge area, with facilities such as TV and internet surfing. Looks like a very cosy living room, no? I rented a room for myself, which costs an extra RM122 in total. The room itself was small and cosy, with white walls, white comforter on a single bed, locker and a small storage space. There wasn’t much room to maneuver. Shared bathrooms are outside, but it was equipped with hot showers, soap and shampoo, and they give you a shower when you check in. Other stuff like hair dryers can be requested at the counter. Overall it was really good, considering the cheap price. There’s also a common patio area where guests can chill. The only drawback is that they have a bar/club just next to the place, so it can get noisy at night. It wasn’t check in time yet, so I dumped my stuff in their storage place and set out for our first order of the day – breakfast. While the inn looks pretty decent, considering that it’s in Bugis, the walk there looks rather scary, if the route was taken at night. Nonetheless, the rate is really good. 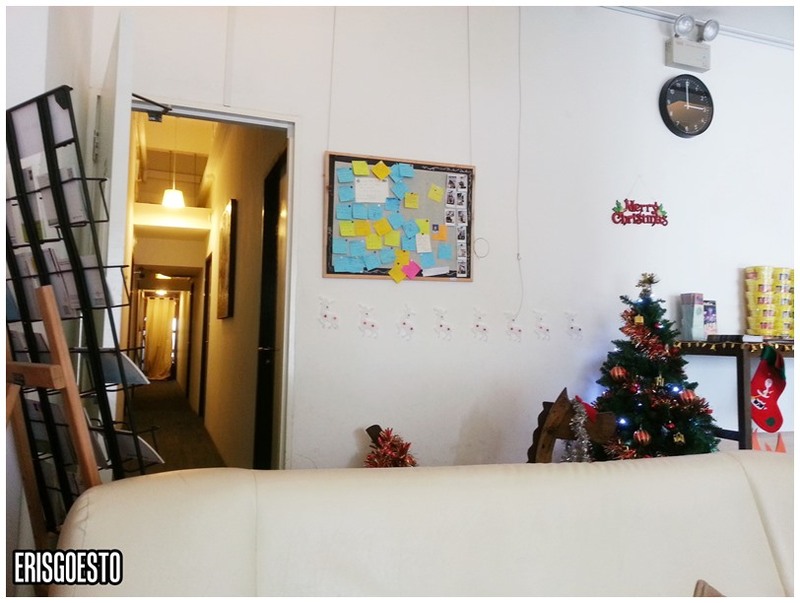 RM122 for a room is pretty great… will definitely look at this hostel /accomodation when am in Singapore next…..